Deputy Russian Foreign Minister, Gennady Gatilov, warned of a humanitarian catastrophe taking place in Yemen.. confirming that it is no less serious than the one happening in Syria. 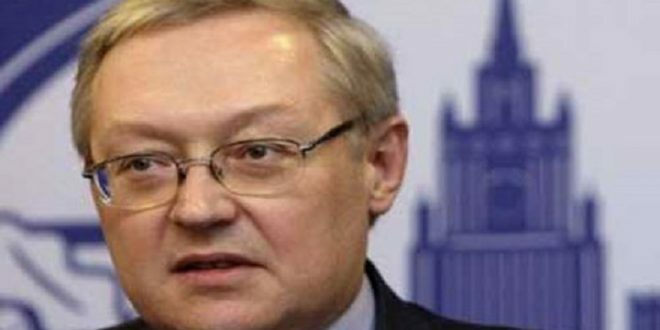 Russia’s Deputy Foreign Minister described the situation in Yemen as “catastrophic” in a speech during the opening of the annual conference of the club “International Model of the United Nations” in Moscow. “Yemen is fighting terrorism and there is an internal crisis and a humanitarian catastrophe that is extremely dangerous”, he said. Gatilov also explained that the humanitarian crisis is affecting the lives of 80 percent of Yemen’s population .. criticizing some western countries for not giving the humanitarian issue in Yemen as much attention as the one in Syria.